Over the course of his career as an engineer, Larry Snider (BSIE '55) lived and worked all around the world. Larry and his wife, Gerri, have called many places "home," from California and Iran, to Ohio and Pakistan. Yet no matter where his career took him, Larry said there was one place he always returned to: the the University of Houston. "My education at the the University of Houston Cullen College of Engineering has helped me and my family in so many ways," Larry said. "That's why we feel it is so important to give back to the University that has given us so much." Larry and Gerri decided to support the UH Cullen College of Engineering with a testamentary charitable gift annuity in the amount of $4.5 million. The gift is unique in that it allows the Sniders to provide an annual income to both of their adult daughters throughout their lifetimes. "This plan for supporting the University is really a win-win," Larry said. "You can give money to the University and at the same time use that money to fund a charitable gift annuity, which pays an income to your children all of their lifetimes," he said. "Your children get a current income every year during their lives, and when they pass, the residuum of the annuity goes to the the University of Houston Cullen College of Engineering." "If God has blessed you with financial success as he has done us, we would like to invite you to consider investigating whether establishing a charitable gift annuity is a good fit for your portfolio, as the Cullen College would really benefit from having many more alumni establish these win-win gift agreements," Larry said. 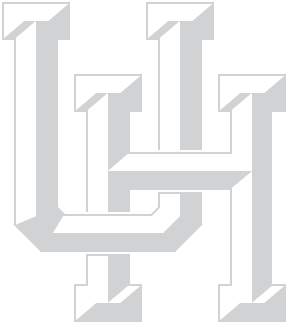 In addition to their most recent gift, the Sniders have supported the the University of Houston and its Cullen College of Engineering by funding scholarships. "We've always felt that education is so important, and it has helped us in so many ways," Gerri said. "We hope that this gift will help a bunch of people." After five years at the Cullen College, Larry earned his bachelor's degree in process engineering, a combination of industrial and chemical engineering. From there, Larry's engineering career took him around the world, moving his family a total of 35 times. He has worked for Sheffield Steel Corp., Kaiser Steel, Booz Allen Hamilton, Peat Marwick & Mitchell, Sterling Electronics, RAPOCA Energy, Korn Ferry International, and Coopers and Lybrand. Upon his retirement in 1995, Larry established RLS Professional Services LLC. Larry received the UH Engineering Alumni Association's Distinguished Engineering Alumni Award in 1991 and the Lifetime Achievement Award in 2013. He and Gerri are also members of Cullen College Bridge Builder Society.